Purchase our self-guided route maps for just £1.10 each – or £4.50 for 5 routes, sent direct to your inbox! Scroll down for a map of the routes. We run 2-3 charity rides per year. In 2019 we're running one at Burton Constable (near Hull) on 28 April and at Duncombe Park (Helmsley) on 29 June. The entry form for Burton Constable can be downloaded here; the entry form for Duncombe Park is 'coming soon'. For our self-guided rides we've selected the most enjoyable routes we know to share with you, including places to park and for refreshments. Each leaflet includes a map and detailed directions. While our routes have been carefully checked and are on public rights-of-way, Ride Yorkshire is not responsible for any changes since we last checked them or for adverse weather conditions. 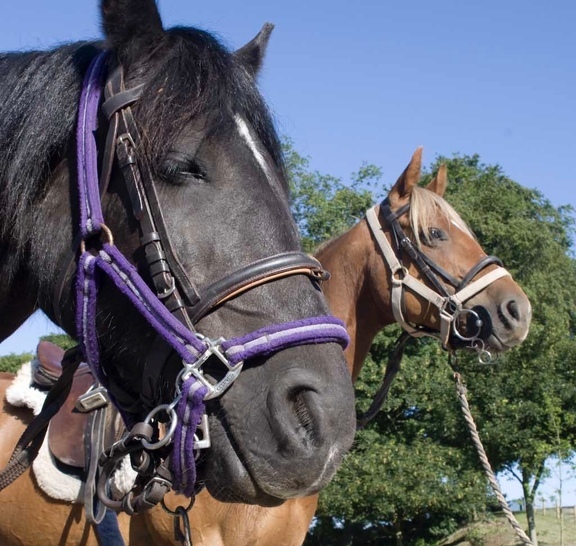 By selecting and following these routes, you agree that it is your decision to use them and that you ride them at your own risk and accept responsibility for yourself and your horse. 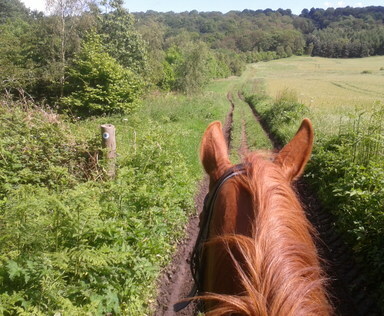 We strongly recommend taking an Ordnance Survey map as a back-up (all our routes advise on the correct one), wearing a helmet to current safety standards and hi-viz clothing, and holding appropriate insurance for you and your horse. Some of these maps are sponsored by local equestrian businesses. If you’d like to give your business long-term exposure by sponsoring a route, please get in touch here! We also welcome sponsorship for our charity rides, where rosettes can be printed with your company name and logo and we give you prominence in all our publicity material. Past and current sponsors include Burnby Equestrian, Burton Constable Holiday Park & Arboretum, Farmway, Houghton Equestrian, Merlin Equestrian, Malton Marquees, McClarrons Insurance, PBH Rail, and Stephensons Estate Agents. Sponsorship costs from just £50 for each map or £250 for each funride. 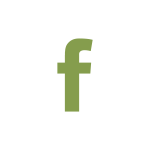 Simply decide which map (or maps) you'd like, then transfer your payment and drop us an email or Facebook message - we'll send the maps to you as pdfs within a few hours. You can pay via PayPal or transfer the payment to: bank account 38933063, sort code 56-00-70.  If you’re not sure about route-finding or you’d like to meet new riding buddies, come and join one of our guided rides in the North York Moors, Yorkshire Wolds or Howardian Hills. We take just 5 or 6 people on these. The ride fee is £30, which covers guiding and light refreshments (where possible). We can also do one-off events for a group of friends - we’ve done them for hen-parties and birthdays, for instance. Ask us for details! 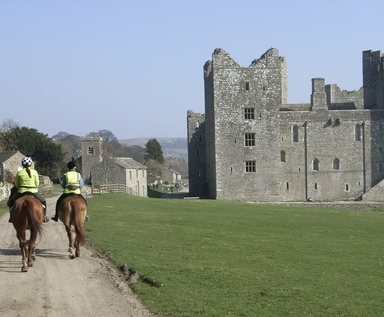 See the Events Diary on our homepage for dates and details of our guided rides. 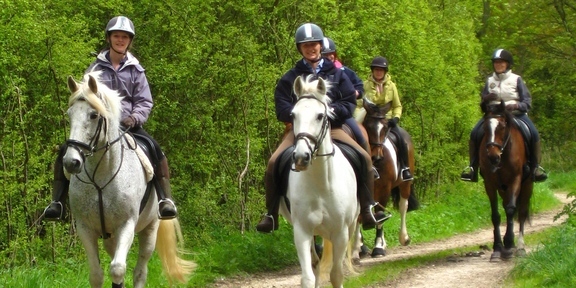 We run 2 or 3 pleasure rides each year in aid of various charities. For these you follow a course with waymarks, maps and directions too, and we include refreshments. The routes include sections on private land with access negotiated just for the day. Entry fee in 2019 is £26. 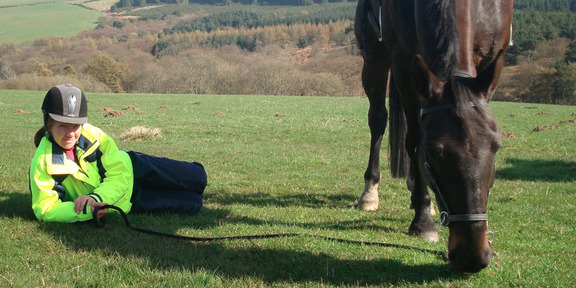 For 2018 we've introduced a grading system for our guided rides so you can choose more easily the best ones for you and your horse. 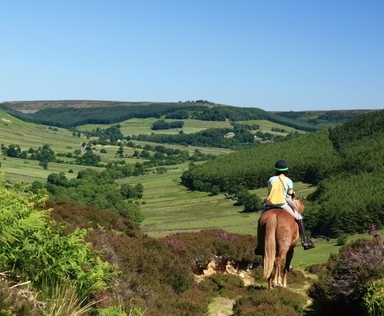 Bear in mind that the grades are relative: an area may seem practically flat to a horse used to the North York Moors, but full of hills to a horse living in Holderness! “Thank you for a lovely day out. 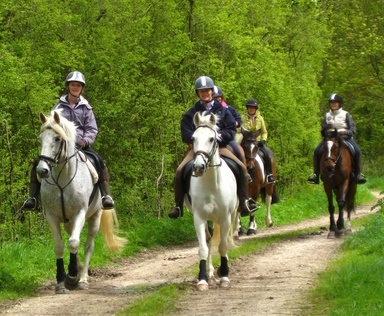 The horses enjoyed themselves and we enjoyed meeting new like-minded people. Looking forward to the next one!"